Nothing beats looking at the positives... and I have some major milestones that I am looking at right now! With everything that has gone on, I am so excited to see those accomplishments. I know I still have a long path ahead, but the past 4 months of treatment have sure been teaching me life lessons. Many centered on strength, endurance, and appreciation. I will continue on the path for the next 2 months of chemotherapy and beyond into my other treatments. 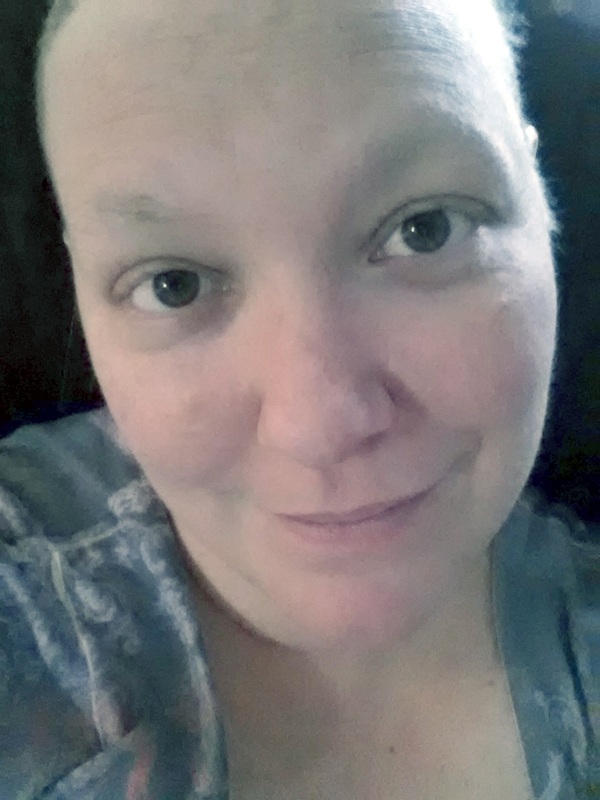 I am still a happy cancer patient!!! Guess who has strep again? 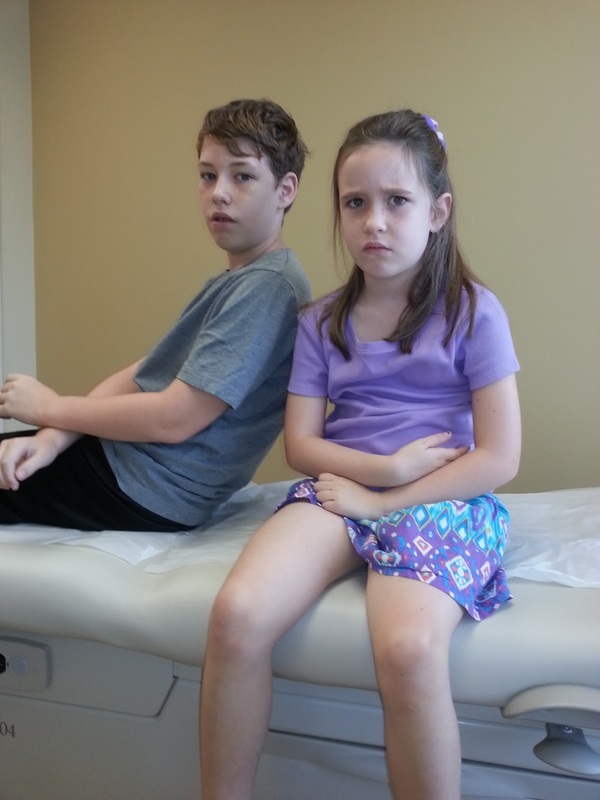 And don't they look thrilled about the potential treatment options. While I never really felt recovered from my first go round with strep, I now got to get on a stronger type of antibiotic to help get rid of the infection. I did notice a vast improvement in my energy level after 3 days of antibiotics. However, I gave up on even wearing a mask to protect myself when they told me they were sick this time. By that time it was already too late. Colds and kids... they love to share!!! 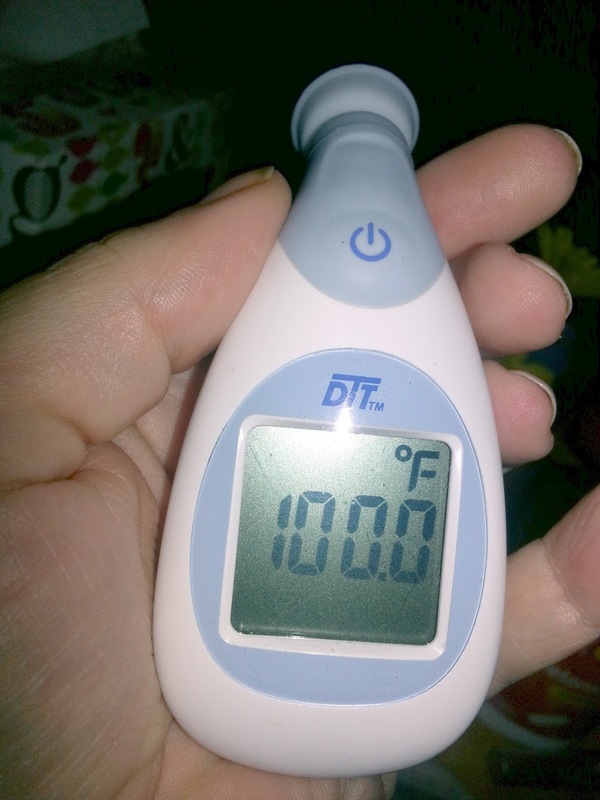 Looking forward to feeling better... not good... better! 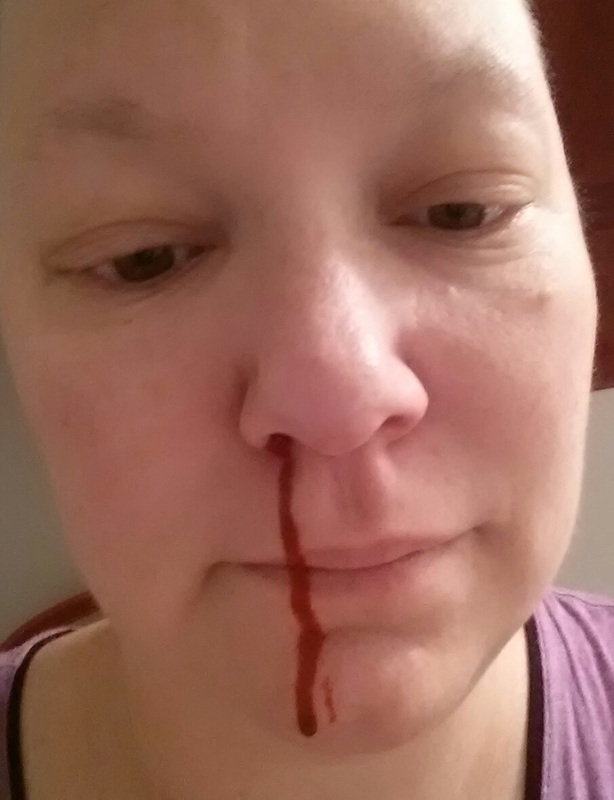 Not only did I have a whirlwind of illness, chemotherapy, and life... I had to deal with insurance! That comment alone should stand without explanation. The joys of insurance. We were at a great place with my husband's old company. Deductible met. Coverage awesome. However with a job change we were starting over and no insurance company really wants to pay for treatment. We were good, we doubled up insurance coverage for one full day so we would have no pre-existing condition clause. We researched and knew chemotherapy had to be pre-approved before treatment, so we pushed Human Resources to expedite our insurance quickly to accomplish the pre-approval. Note: that was a two day argument that eventually had to be turned over to the cancer center. They got to argue on my behalf. I wish I had done that immediately. Insurance should have been all set, but in my world errors were bound to happen and they did!!! Apparently, they accidentally activated and deactivated our insurance on the same day. I found that out a week later at a doctor's appointment where I spent an excessive amount of time on the phone trying to handle the situation so I could see my doctor. I found that out again a few days later when I was denied a prescription following a chemotherapy appointment and spent an excessive amount of time on the phone trying to handle the situation. I found that out again a week later when I was denied a prescription for my son and spent some time on the phone trying to handle the situation. I found that out again the following day when I was denied a prescription for my daughter and made my husband handle the call! 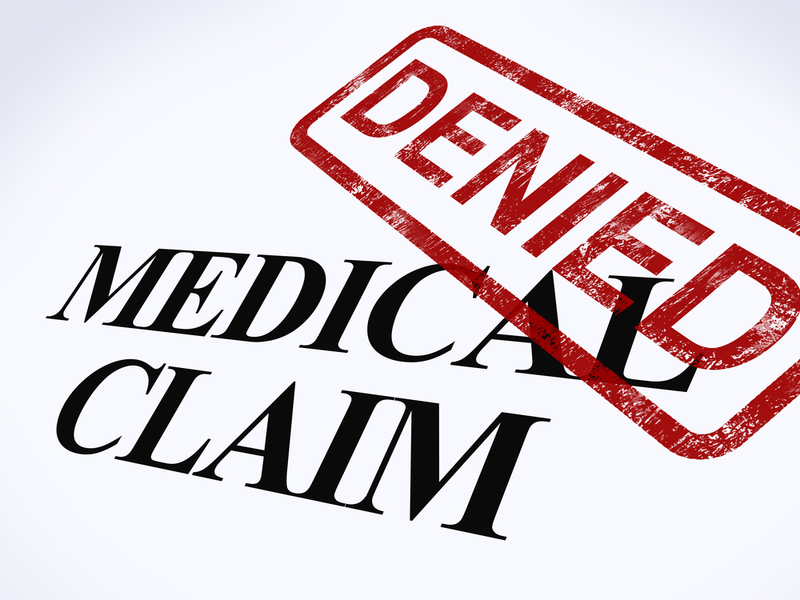 4 denied coverage. 4 phone calls. 4 approved coverage. The insurance company has been a source of frustration for the past 3 weeks and I only hope that it has all been resolved. I suppose I will find out next time someone goes to the doctor or needs a prescription... which might be soon seeing that my kids keep bringing illnesses home!!! I am still conflicted with multiple side effects. Last I looked, I had successfully had every side effect on Taxotere's list, including the less common side effects. Not only can I claim that privilege, I have some side effects that they do not even bother listing. Go me!! The side effects were taking their toll, but I have tried to keep them manageable. I continue to have new problems add to existing problems. Once I figure out the best way to handle them they become just part of my routine. Instead of fussing and fighting with each new symptom, I just figure out the best coping strategy. I try not to worry or get upset, I just make a creative attempt to handle it. At some point you just have to laugh and realize that there's no fighting the side effects, just a way to manage them. 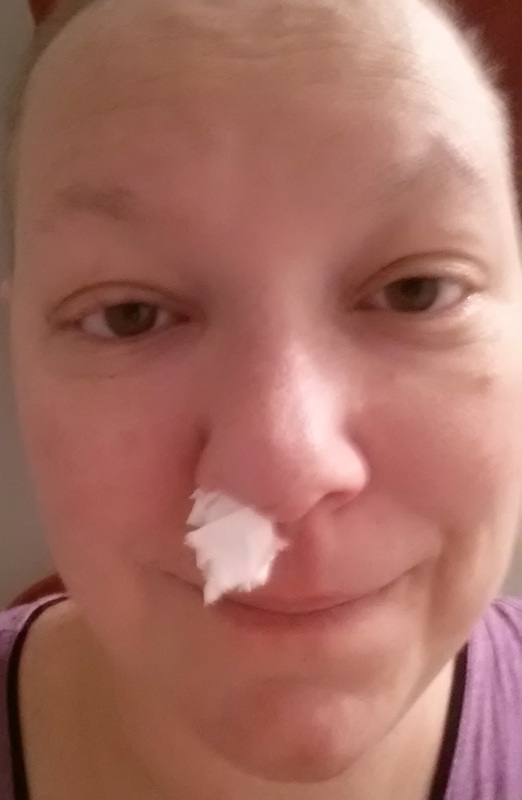 Oh joy... me managing my regular morning nose bleed! For bigger issues I make additional visits with additional doctors. Because I was having ringing in my ears and I have already had bilateral hearing loss, I made a follow up appointment with my ENT. I also wanted to discuss the enlarged neck node I had before treatment and make sure he felt I was treating it appropriately since it went away with chemotherapy. My bilateral hearing loss was actually about the same... good. I mean my hearing loss was not good, but I did not have more... good. The tinnitus (ringing in ear) had become very loud and annoying. Sometimes so loud that normal conversations were hard to hear. Seems that was just part of the chemo. As for the neck node, they probably should have biopsied it, but since my chemo was aggressive he was not too concerned. The node had shrunk so if it had been cancerous - it was getting zapped!! With so many things going on it was hard to tend to myself. 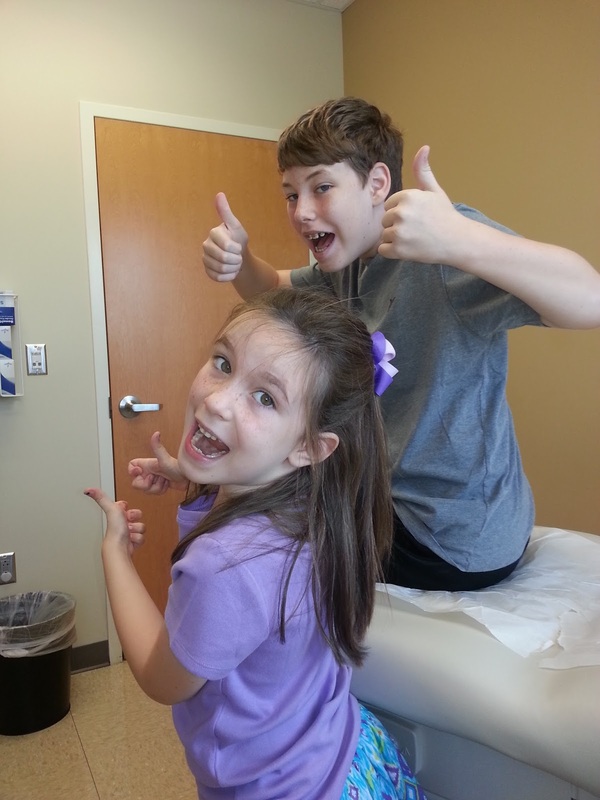 Even though I was exhausted from my chemo/shot the kids still had school, after-school activities, and got sick again. I spent a lot of my time and energy on them. Of course, the house and general daily tasks do not go away because I am sick. I was fortunate that many friends and family had chipped in to help with food and support. It was amazing to have so many people try to help and how that can positively affect you. The meals that were given really provided a break for me in the evening. Something I never realized was so taxing until I got further into my treatment. Thanks to all of you who provided me with care and good wishes - it really makes a difference. Being sick has prevented me from doing many of the activities I normally like to do on my "off" week. I only hope I get to pick them up again so I can be in some sort of shape once this all ends. However, I am just glad to be alive and enjoying my time! I look at my time as borrowed time and how lucky I am to have it. I am enjoying the simple moments, like riding in the car with the windows down feeling the cool breeze on my bald (well, tiny haired) head. All while listening to my daughter laugh because the wind was blowing her hair wildly. Seeing my son beginning to make choices that direct his path. The joy of watching my kids swing in the backyard. The love of hugs given freely by the people I love. Simple daily joys are awesome!!! My main delight is that I am 1/2 done with Taxotere and I am 3/4 done with chemotherapy. On that note... it is a great place to be. Even though I still have a ways to go - I am thrilled to be here. Thrilled!! !